ETP specialises in the connection of shafts and hubs using friction instead of key ways. ETPs product line is best known as locking bushes but are also referred to as locking assemblies, locking elements, friction joints, and bushings. ETP Locking Assemblies provide extremely quick mounting operations. They offer the shortest possible down-times during maintenance and repair and thereby reduce lifetime costs for the machine operator. The internal hydraulic principle results in fast fixing, easy adjustment and quick removal. Connections are backlash-free with high rigidity.  Industrial Clutch Parts Ltd. supply a complete range of Lenze ETP locking bushes. Available in stainless steel and nickel coated versions. ICP's large stock of ETP Locking Bushes enables prompt delivery and reduced lead times.